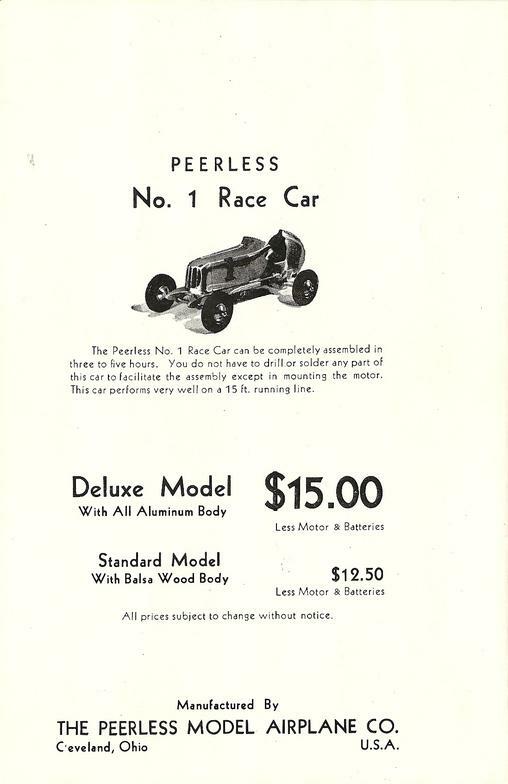 Produced by the Peerless Model Airplane Co.
Only a few tether car manufacturers produced the smaller Class A cars prior to World War II; but of those that did, the Peerless car was the most successful from the standpoint of sales. 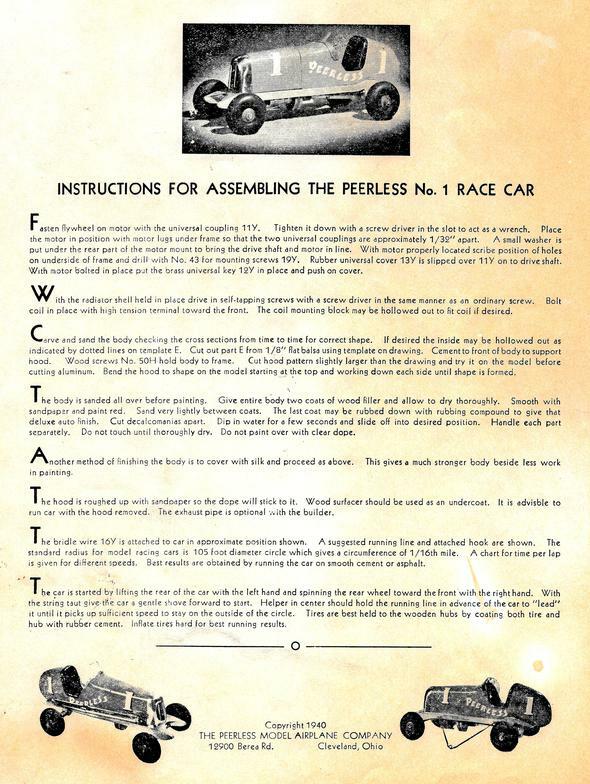 The Peerless car was well-engineered, and when equipped with a Forster .29 (or similar) spark ignition engine, it proved to be a very competitive Class A race car. 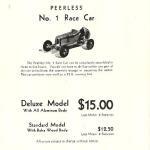 The Peerless car featured a cast aluminum frame, a complete drive unit with a cast aluminum case, and Peerless Track Grip Wheels which became available for the car shortly after its introduction. 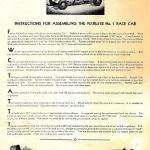 The car was sold as a Deluxe Model with an all-aluminum body for $15.00 less engine and batteries. It was also available as a Standard Model with a pre-formed balsa wood body for $12.50 less engine and batteries. The Standard Model shown in the photos is powered by a Forster .29 spark ignition engine. Peerless also sold the gear drive assembly and the Track Grip Wheels separately, and these components found their way onto many home-built Class A cars.